I have had the pleasure to read Dark Mirror by M.J. Putney, which comes out this March. If you missed my review, check it out here. Fans of historical fiction will definitely enjoy this one! Thanks to St. Martin's Press, they offered to let me host a giveaway! 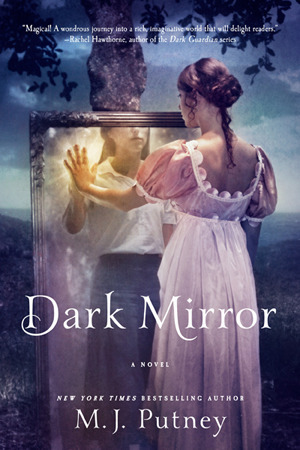 One lucky reader from the United States or Canada can win Dark Mirror for themselves. The deadline is March 20th and you don't have to be a follower to enter; however, if you take a look around and you like what you see, I'd appreciate you becoming one. Also, be sure to check out my contest rules. Fill out this form in order to enter! I've been curious about this title. Thanks for the chance to win! Thanks! Been wanting to read this one.